Model T Ford Forum: Best way to get a camshaft out? Best way to get a camshaft out? Model T Ford Forum: Forum 2014: Best way to get a camshaft out? Any advice on getting a rusty camshaft out? Thanks Motor is a 1918 motor. Guess we need to know where you are at in the tear down. If the motor is out, soak the valve train with good penetrating oil. Remove the keepers from the springs, get all the valves at least up or out. Tap the lifters up away from the cam, use a brass drift. Take the two bolts out from the side of the block. Best bet is to have the transmission off, using a brass drift tap the cam out from the end. If the cam will turn at all, turn so the high part of the lobe is against the slit in the cam bearing, this will help press both half's out at the same time. If the parts are stuck give the penetrating oil time and go at it slow. 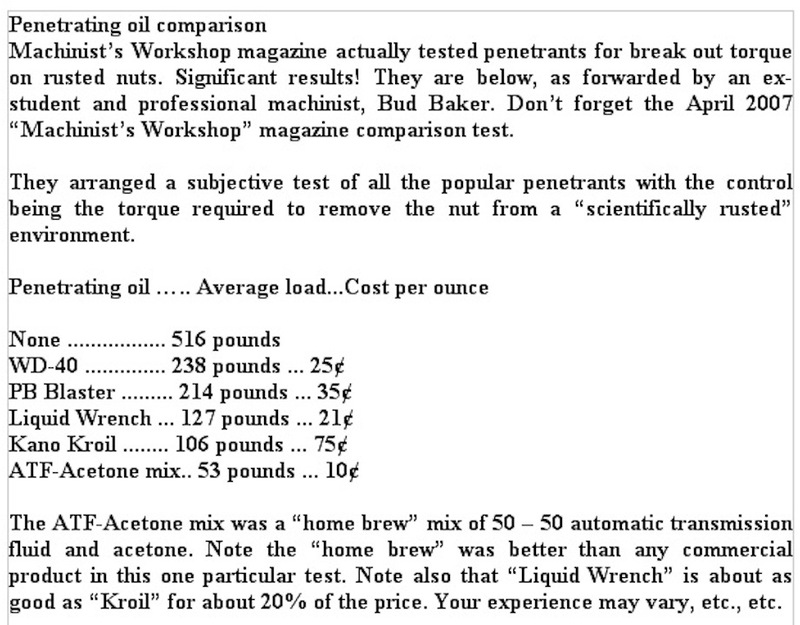 WD-40 IS NOT PENETRATING OIL! Is it still in the T? If so, take the radiator off. Now take off the camshaft cover/fan mounting bracket. Is it froze solid? Next take off the head then the valves. Squirt some PB Blaster on the lifters and pull them all the way 'up' and hold them there with closepins. Now take the 2 bolts off that fix the location of the 2 cam bearings. Liberally coat the bearings and camshaft with PB Blaster and start tapping the rearmost end of the cam with a hammer and brass punch. Can you crank the engine to free up the cam? It probably has cam/crank spur gears. This'll make it easier. You type faster'n me Mark. Merry Christmas to all ! Sorry, I should have given more detail. It is out of the frame, head off, pans off, block and transmission exposed, and we are going to drop the crankshaft and transmission off. It works easier if you turn the block upside down so that the lifters will move away from the camshaft. Once you get the bearings to move out of the block, you can remove the clip holding the center bearing together and it will be easy to pull it right out. The Ford T service manual is pretty clear about removing the camshaft. If its rusted in it will take soaking and patience getting it to move. Soak the block for a while then carefully remove the valves. After that it should be fairly easier. I too have a rusty T engine that I would like to remove the cam from.I need to first get the valves out of the way. HOW? The engine has sat outside for at least half a century with the head off. Everything except the cam, lifters and valves have been removed. It has been treated occasionally with Kroil for the last 3 months and I can now move the cam just a bit back and forth. The valves and lifters are not interested in moving at all. Generally, we cut the valve stem off near the bottom of the valve guide in the valve chamber; yes you have to cut through the valve spring. This get the valve stem out of the way and you can hit, knock, beat, whatever the lifter down and out of the way. When all the lifters are out of the way, you can remove the cam. Then remove the lifters and start working on tapping the valves out. All of this is easier said then done; so have fun.